The Ruaha landscape in southern Tanzania is recognized globally for its outstanding biodiversity and species endemism. The European Union formally identified it as a Key Landscape for Conservation. Home to 10% of the world’s remaining lions Ruaha is an important contributor to the big cats’ continued existence. The 50,000km2 area includes Ruaha National Park, game reserves, wildlife management areas and village land. The latter covers 4,000km2 and it is here that increasing human-wildlife conflict (HWC) problems raise their head. 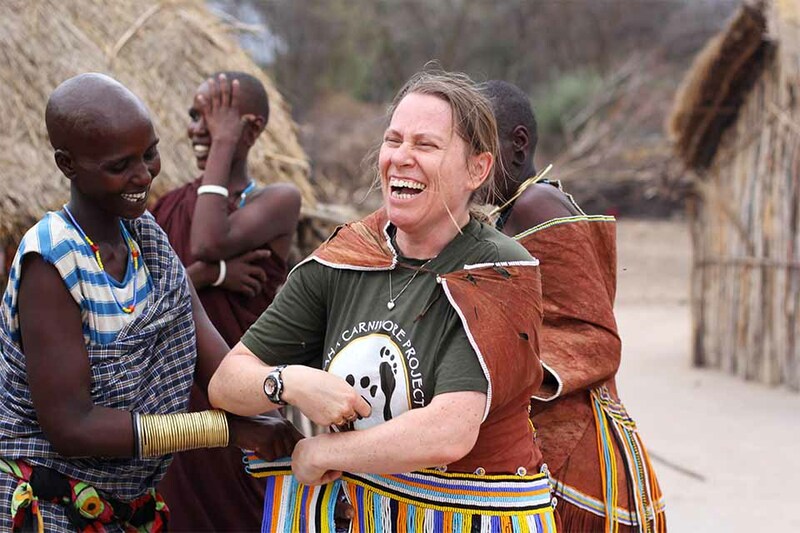 After six years in big cat conservation in Namibia, followed by an MSc and PhD in the Ruaha area (which highlighted the intensity of HWC around Ruaha), Dr Amy Dickman founded the Ruaha Carnivore Project (RCP) in 2009. Operating under the auspices of Oxford University’s Wildlife Conservation Research Unit this was the first programme of its kind in Ruaha. “Developing trust with the local communities, many of whom are traditional pastoralists for whom livestock are vital, and lions are viewed as the enemy, was extremely challenging,” explains Dickman. Camped in three tiny tents under a tree on village land just outside the national park, Dickman and her two Tanzanian colleagues had no power, no running water and no vehicle of their own. They started by investigating lion killing on the village’s land, and found that it was far higher than originally thought -over 35 lions in just one year. “Many of the lion killings occurred after attacks on stock, often in traditional hunts, and people saw no reason to keep lions or other wildlife around as they suffered high costs and received few or no benefits,” explains Dickman. Improving local attitudes towards lions and other wildlife was therefore vital. It took 2 years for the local warriors to even start discussing the issue with Dickman and her team. The top priority was reducing carnivore attacks on livestock. Two-thirds of attacks occurred in poorly protected livestock enclosures and so RCP has reinforced nearly 150 bomas with wire, reducing attacks by over 95%. Protecting grazing livestock is harder. Having worked with Anatolian shepherd dogs before, Dickman introduced nine into the Ruaha area. “Although mortality rates are quite high, the dogs have proved they can effectively defend livestock, even from lions,” she says. The project also trains and employs ‘conflict officers’ in 11 villages. They respond to attacks and provide advice to villagers on how to reduce the chance of them happening again. 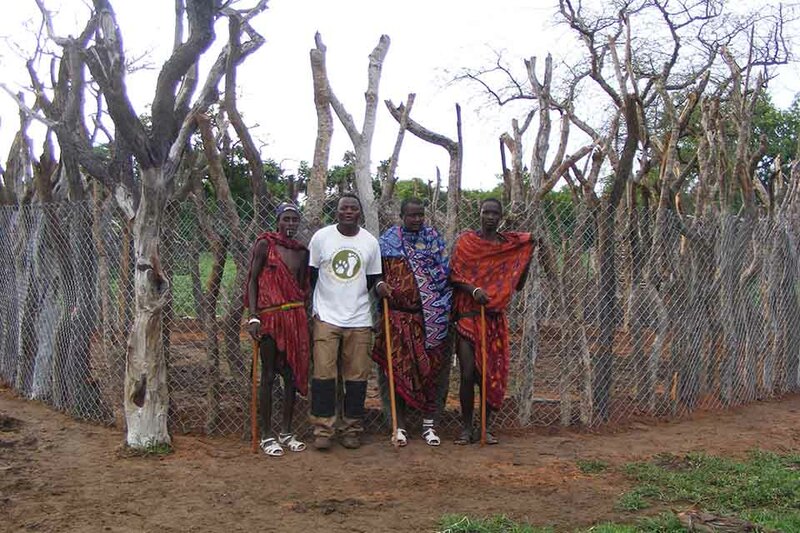 In addition, the project works with the Lion Guardians in Kenya, and has adapted its model of employing Barabaig warriors so that they gain prestige through conservation rather than lion killing. Currently RCP has 14 warriors fulfilling their traditional protective role in the community – they have fortified over 500 enclosures and have found over 10,000 lost livestock (as well as many lost children), thereby reducing the chances of depredation and retaliatory killings. The warriors, known as Lion Defenders, also gain prestige through learning literacy and international travel. Importantly, they are the individuals best placed to learn about and stop traditional hunts. They have stopped nearly 50 hunts so far. These initiatives have reduced depredation by over 60%. 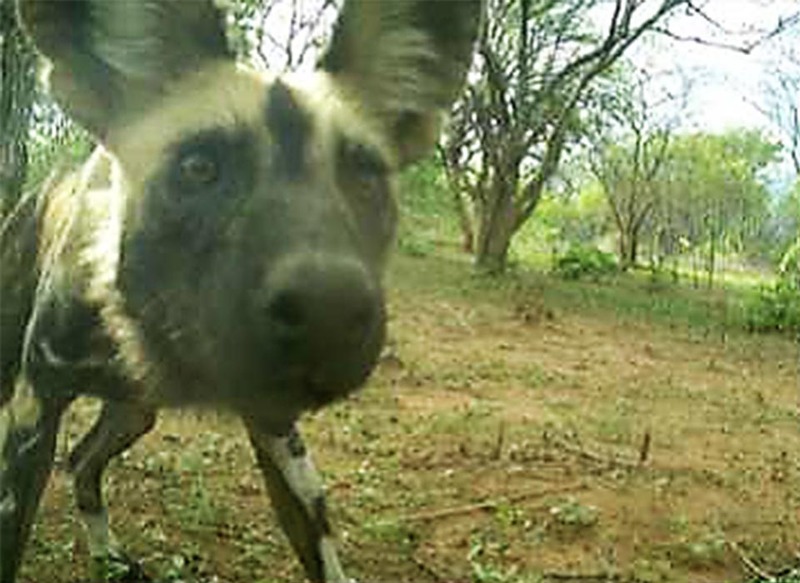 Benefits need to be linked to wildlife presence, so a community camera-trapping programme was developed whereby villagers are trained and employed to monitor wildlife on village land using camera-traps. Villages which record more wildlife receive significant additional benefits. “This innovative programme is now working across 12 villages, and provides $60,000 of additional healthcare, veterinary and educational benefits to local communities each year, making it one of the largest development programmes in the area,” says Dickman. Through a school twinning programme educational materials to 15 schools have been provided. Furthermore, more than 30 full secondary-school scholarships have been provided. Vital healthcare equipment to local clinics and high-quality veterinary medicines have also been provided. To spread awareness of this work, and the importance of conservation, the project takes people into the national park on educational trips. 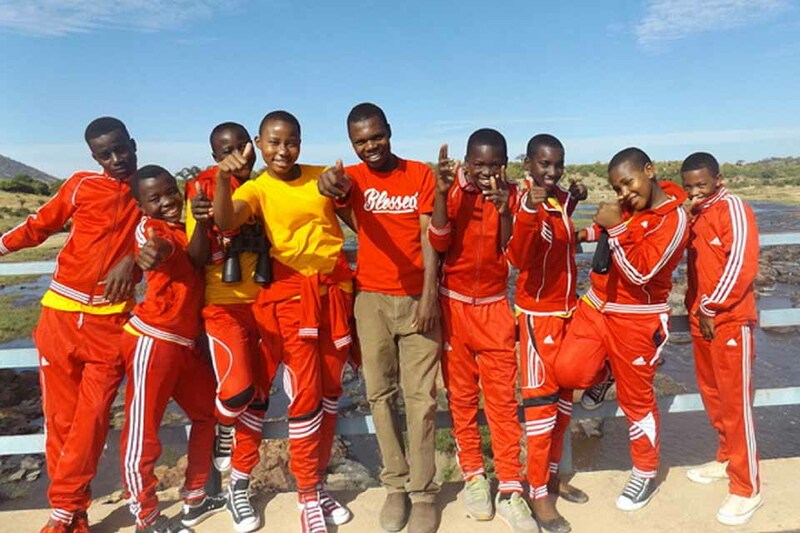 Over 1,000 people have participated in these trips so far, which markedly improve attitudes towards both the protected area and its wildlife. Educational DVD nights show wildlife films and provide information about the project in the villages. Around 30,000 people have attended these to date. Attitudes are certainly changing – in 2011, when Dickman and her team first engaged with the warriors, young men were rewarded with gifts of cattle from other community members for killing lions, and could receive up to 20 cattle each time they killed a lion. 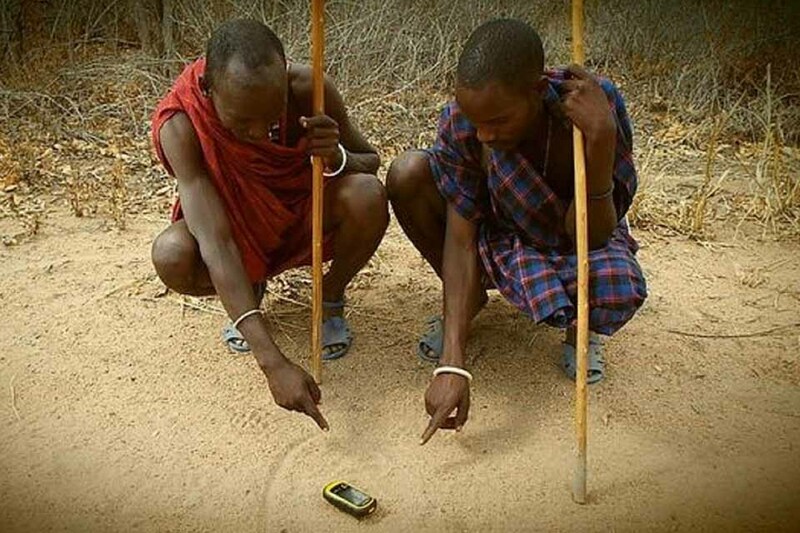 Recently, a group of young men went out on a lion hunt, but instead of generating community support, they were called back from the hunt by other villagers. “The women, in particular, stood up and said that the lions being hunted were the ones that provided school books and food to their children, and were the reason they could give birth more safely,” says Dickman. The villagers decided to fine each young man who had gone on the hunt one cow each – a major consequence in these societies – and implemented community bans on any lion or elephant hunts. Overall, lion killings have been reduced by over 80% in the core study area. “RCP intends to expand its work from the current 12 villages into all 22 close to the southern border of the Park. This will take more investment, both from the communities and from international funders, but the project has shown that it can have major positive impacts on both carnivores and communities,” says Dickman.